Acessível 3BR no 2º andar em The Fabulous Beach Villas em Ko Olina! Nós gostaríamos que você considere desfrutar de um dos nossos retiros de férias Beach Villa incrível com vários para escolher. Espero que você se sinta à vontade para entrar em contato comigo se tiver alguma dúvida ou se houver algo que possamos fazer por você. Ocean Tower 205 é um perfeitamente mobilado 1.500 + pés quadrados Villa que é uma grande combinação de elegância em um cenário de frente para o mar. Junte-se a nós e você será feliz que você fez. cozinha completa com faixa de lobo e forno e geladeira subzero. aparelhos máquina de lavar louça, microondas, armário chiller vinho, contador Cusinart. Louça completa, utensílios de cozinha e todos os ingredientes para que possa fazer as suas refeições favoritas. cama king-size no quarto principal, cama queen size no quarto 2 e gêmeos no terceiro quarto, que podem ser convertidos em uma cama king size, mediante solicitação. Sony TV em cada um dos quartos com TV a cabo, serviço de internet sem fio e telefones, incluindo longa distância livre para o continente e no Canadá. entrada expansiva em va com lotes de mobiliário confortável para descansar e relaxar. Banho Master suntuosa e banho do convidado com um banho de meia adicional fora do salão. Snorkle conjuntos, cadeiras de praia e placas boogey. piscina e piscina de recreio com spas em anexo. localização em frente à praia, com acesso imediato a lagoa protegida para sua segurança e diversão. Ko Olina Resort também tem uma ampla gama de atividades localizadas dentro do resort, incluindo o Ko Olina Golf Course, Ko Olina Marina, 5 de jantar estrela, compras, trilhas para caminhadas, pesca e cartas de observação de baleias, 4 lagoas protegidas e fica a apenas 3 milhas de Kapolei com lojas, incluindo Costco, Target, cinemas, Safeway e 100 dos outros comerciantes. Localizado a 20 milhas a oeste de Waikiki (30 a 60 minutos dependendo do tráfego), Ko Olina oferece uma alternativa tranquilo para as multidões de Waikiki e Honolulu. Perto o suficiente para dirigir-se para a aventura, mas para aqueles que preferem voltar para casa para a fuga de tranquilidade e paz com praias tranquilas e un-lotado, Ko Olina é um lugar maravilhoso para chamar de casa por uma semana ou duas. Preço comparável a um único quarto de hotel, este luxuoso Beach Villa frente para o mar no segundo andar e oferece muito mais do que um quarto de hotel. Há uma noite de estadia mínima 6. Esta é uma muito agradável Villa com uma excelente vista para as piscinas, lagoas, jardins com o mar eo pôr do sol pontos de vista também. Somos um host local e nossa intenção é dar-lhe atenção pessoal para garantir que sua estadia seja o mais agradável possível. Estamos ansiosos para ouvir de você! 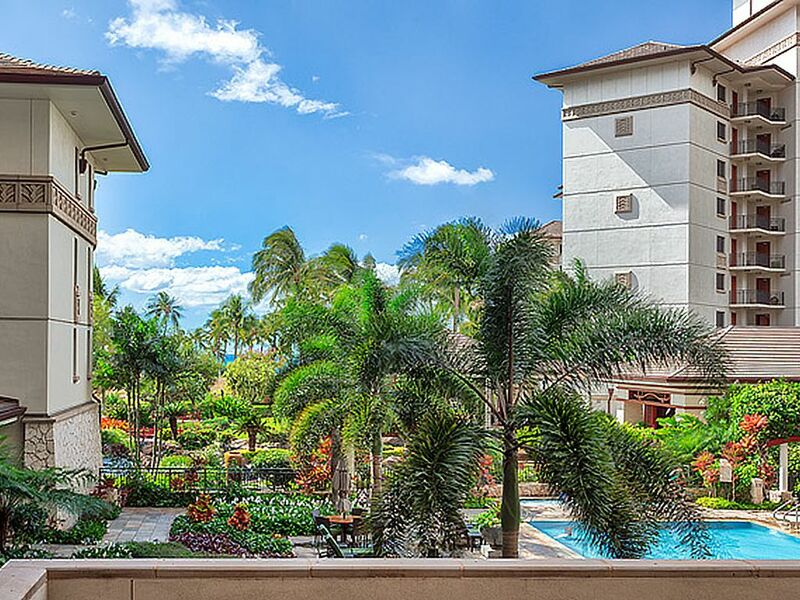 Palavras-chave: Ocean View, Ocean Front, Beach Villa em Ko Olina, Ko Olina Beach Villa, Ocean Tower Villa, Ko Olina Resort & Marina, Ko Olina Vacation Rental, Disney em Ko Olina, Ko Olina Disney Aulani, Aulani em Disney, Oahu Vacation Aluguel, Honolulu Aluguel de temporada. Localizado no Ko Olina Resort e Marina, o Beach Villas em Ko Olina são curta distância de um campo de golfe altamente classificado, Ko Olina Golf Course, Marina de Classe Mundial, 4 protegidos lagoona, Miles de trilhas para caminhada, algumas milhas para compras, incluindo Costco, Target, Safeway e todas as conveniências de casa. Stayed in this condo for 7 nights in January. My wife and I and our 3 college age kids. Definitely met or exceeded our expectations based on other reviews and the pictures. Plenty of space for us. Very clean and modern. Great lanai for morning coffee and relaxing. Only hiccup was the wifi. Needed a new router that was installed half way through. The person assigned to attend to our needs was very responsive. Wonderful pool area and awesome beach and walkway to the Disney and Marriott resorts. Within walking distance of restaurants and the ABC store for groceries. Also an excellent coffee shop. Loved the whole setting. Great to just stay around and enjoy the area or drive to some other parts of the island. I would highly recommend renting from this owner. Can't say enough nice things about our experience. Helped that the weather was nice during our trip. The property is so beautifully maintained and the beach has the most amazing sunsets! The condo was perfect for our group of 4 adults and 4 teenage kids! We had everything we needed in the condo. The location is great as well and made it easy to get around for sight seeing. Or you could stay at the resort with plenty of restaurants and shops within walking distance. We had the most amazing vacation! It was a beautiful place to stay and we had our own elevator. I loved that we were able to spread out and not feel crowded and it was nice to be away from the hustle and bustle of Waikiki. Cherie was very kind to us and greeted us when we got there and showed us how everything worked. We would definitely come back again, loved it! Villa was beautiful and the facilities were nice. We did however have a situation with a maintenance worker named Randy who treated us and our friends with disrespect and contempt. We were in the wrong as we were 10 min late leaving the premises at 9 pm because we had to clean up our bbq area and we had 8 small kids to also get into gear but considering the number of kids and trying to get everything in order there should have allowed some flexibility. Later we were also notified that we were only allowed 8 guests in the bbq area which we weren’t aware of. I frankly didn’t like the tone and the way we were treated by Randy. Everyone else on staff was very courteous and respectful. Just stay clear of Randy and you will have a wonderful time. This condo was perfect for our family. We have a big group and got 2 different condos. This one was so great for children. The Lanai was big and there is the railing was safe for little ones. The management team was easy to work with and accommodating! They met us and gave us a tour. We had everything we needed for the little ones. The kitchen was great! There was every utensil, pot and pan you could ever need! The beds were good , and the place was comfortable. The resort as a whole was more than we ever hoped for- pools and beach close. The shops and restaurants were close also. We loved waking up to see the ocean and drinking our coffee on the Lanai. We had such a good time and didn’t want to leave! This place is wonderful. Everything was perfect for our family of 6. More than enough room and everything was beautiful. Kitchen was a dream to prepare our Thanksgiving meal in. Thanks for helping us make great memories we will return for another stay.